The world community, which witnesses escalation on the line of contact in the region of Nagorno-Karabakh, continues attempts to make Armenia come to negotiations. The early settlement of the conflict will benefit Armenia itself ­­– it may finally open the door for this country to international projects, which Armenia is currently deprived of. 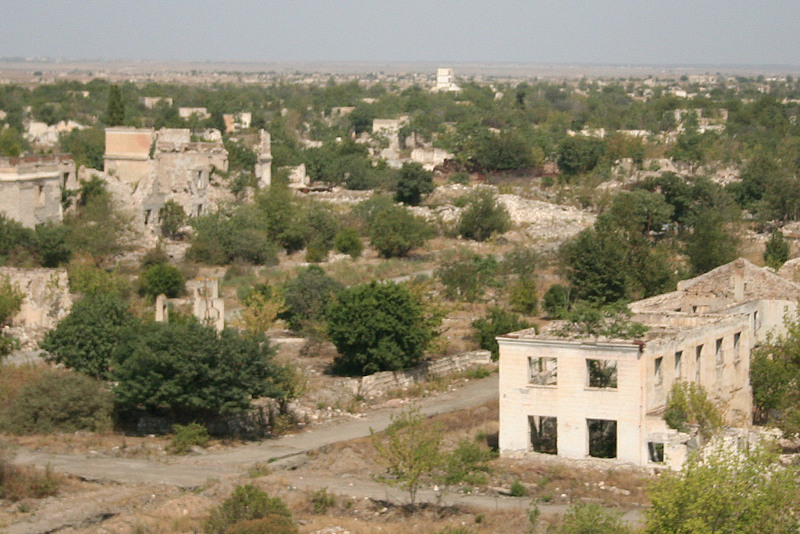 The continuing occupation of Azerbaijani lands by Armenia slows the economic development in the South Caucasus region and creates obstacles for effective cooperation between countries of the region. This remark was made by The Turkish president Recep Tayyip Erdogan when he was addressing a meeting of the Economic Cooperation Organization in Islamabad. Erdogan called on the ECO and the Organization of Islamic Cooperation (OIC) to show determination in the settlement of the Nagorno-Karabakh conflict. “The Nagorno-Karabakh conflict has existed for over 20 years and is not resolved yet, it is necessary to raise this issue at every international arena,” the Turkish president said. Azerbaijan has repeatedly expressed its consent to come to the negotiating table with Armenia to finally solve the conflict, but Armenia continues to play for time in order to preserve the status quo in Nagorno-Karabakh. After the latest flare of tensions on the frontline, the UN openly hinted Yerevan that it is time to stop delaying the negotiations on Nagorno-Karabakh. On February 27, the UN Secretary-General Antonio Guterres expressed concern about the deteriorating situation in the conflict zone and called on for substantive negotiations. The Armenian authorities are likely scared of possible discontent and unrest in Armenia if they agree to the phased settlement of the Nagorno-Karabakh conflict with Azerbaijan. This can lead to the loss of power by Serzh Sargsyan and his entourage in Armenia. Therefore, Yerevan prefers to preserve the status quo in Nagorno-Karabakh forever. The international community does not put any pressure on Yerevan in this regard – therefore Armenia continues occupation of foreign territories. The only way out of the existing situation is active participation of all mediators in the negotiation process and increase of pressure on Yerevan. After the meetings of the Azerbaijani and Armenian presidents in Vienna and St. Petersburg, which took place after the April clashes in 2016, the negotiation process came to the dead end due to the denial of Yerevan to continue serious talks. All this indicates that the official Yerevan does everything to slow down the negotiations and comes to talks when the situation around Nagorno-Karabakh heats up to the breaking point. If the mediators, primarily the OSCE Minsk group, do not make a considerable effort to finally change Armenia's attitude to the negations, this stagnation will continue. This can eventually lead to ignition of another spark in the conflict, which does not benefit either Azerbaijan, or other countries of the region.